It’s that time of year: students are heading back to campus with laptops and tablets in hand. A trove of devices 20 Nifty Gadgets, Devices, and Tech for College Students 20 Nifty Gadgets, Devices, and Tech for College Students Your college years are some of the best years in your life, but they can also be stressful. We've got 20 affordable gadgets to help you deal with the complexities of college life. Read More is all but necessary for getting through university in the modern age. But that also means there’s ample opportunity for thieves and other miscreants. These 11 security tips for students will help keep your data safe. You have a lot to think about while school is starting up again, but take some time to make sure you’re doing all of these things. You’ll be glad you did later! We say this constantly, so you don’t need all the details. Sign up for an online backup service that backs up all of your files automatically. That way you’ll be protected from a spilled drink on your laptop, the ever-increasing problem of ransomware, and the inevitable accidental deletion of your term paper. Grab an external hard drive The 8 Best Portable Hard Drives You Can Buy Right Now The 8 Best Portable Hard Drives You Can Buy Right Now Read More and back up to that, too. It’ll make the restoration process much easier when you need it. Many students will be headed back to school with laptops. They’re highly portable, great for taking notes, and a lot easier to move than desktops. But that also makes them easier to steal. It’s very easy to step out of your dorm room for a second, or have your roommate leave the door open while you’re gone. And no one wants to come back to a missing laptop Five Ways a Thief Can Profit From Your Stolen Hardware Five Ways a Thief Can Profit From Your Stolen Hardware Criminals steal your PC, your laptop, your smartphone, either by burglarising your house, or by snatching them from you. But then what happens? What can thieves do with your stolen tech? Read More . This one is a combination lock, but there are plenty that are keyed as well. Just run the cable around something sturdy, like a table that’s fixed to the ground, and lock it to your laptop. It won’t stand up to a determined thief, but most laptop snatchers are looking for easy targets. It’s easy to lock your laptop in your dorm room, but don’t forget to lock it when you’re working away from home too. Locking your phone to your desk doesn’t make a whole lot of sense. But you can still protect it, even in case of theft. Make sure you put either a code or a fingerprint lock Should You Use a Fingerprint or a PIN to Lock Your Phone? Should You Use a Fingerprint or a PIN to Lock Your Phone? Should you secure your phone with a fingerprint or a PIN? No one is likely to guess your fingerprint, but is it really more secure? Could a PIN be more secure? Read More on your phone. 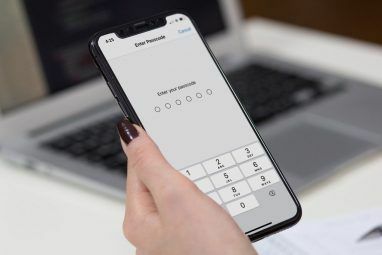 There’s a whole lot of valuable data on their for identity thieves, and putting any barrier in their way is a good idea. On a related note, make sure that Find My iPhone or a similar function is on and working. If your phone goes missing, whether someone takes it or you leave it at the library, you want to be able to find it again quickly. The faster you can find it, the less time anyone has to pull valuable data off of it. It’s really tempting to share Netflix, HBO Go, Spotify, and other similar accounts between roommates. And while it can save you a bit of money, it’s also asking for trouble. You have to put a good amount of your personal data into apps like that to get them working, and giving another person access to that isn’t a good idea. That’s not to say that you shouldn’t trust your roommate. But when there’s another person who can accidentally give away information or leave an account logged in where it should’t be, it poses a security risk. Fortunately, most apps like these have gotten very affordable, so you aren’t missing out on much by keeping your own. And if you absolutely have to share accounts, make sure not to give up your passwords How to Share Online Accounts Without Giving Up Your Passwords How to Share Online Accounts Without Giving Up Your Passwords Account sharing is a huge security risk -- anyone could take over your account at any time. If you still want to share your accounts, this site lets you do it in a more secure... Read More . You’ll probably have a lot of default passwords when you go back to school. It could be for your campus email address, or your classroom management software, like Blackboard. There might be student records that you can access online that require a password. And dozens of other things. Be sure to change those passwords immediately. Even if your default password seems secure, it’s not going to be as safe as choosing a strong, unique password of your own. Again, there’s probably a lot of valuable data in those password-protected places. And you don’t want anyone getting a hold of it. A password manager Is Your Password Manager Secure? 5 Services Compared Is Your Password Manager Secure? 5 Services Compared Unless you have an incredible memory, there's no way you can possibly hope to remember all your usernames and passwords. The sensible option is to use a password manager -- but which is best? Read More helps a lot when you’re in school. You’ll probably have a ton of passwords to remember, and it’s tempting to use the same thing for each one. A password manager means you don’t have to do this, and it saves you time. A virtual private network is an added layer of security between you and the wider internet. And it’s always good for improving your privacy and security. But it’s an even better idea wen you’re accessing the internet from campus. A campus is a perfect place for someone looking to steal data. There are lots of people connected to public(-ish) Wi-Fi that don’t how to protect themselves from data thieves. It’s a good bet there’s someone on your campus who’s out looking for easy targets. And like a laptop lock, this shows people you’re not one of those targets. We keep an updated list of the best VPNs The Best VPN Services The Best VPN Services We've compiled a list of what we consider to be the best Virtual Private Network (VPN) service providers, grouped by premium, free, and torrent-friendly. Read More currently available. Check the list, find one that fits your budget, and sign up for it. It’s an expense that’s well worth it. Different campuses will have different apps, but they should all provide similar functionality. If you ever feel unsafe, all you have to do is take out your phone and press a button. You could even do it surreptitiously if you’re in a situation where you can’t obviously use your phone. The ability to get a quick jumpstart or get into a locked car is just a bonus. There’s no reason not to download one; they’re offered for free, and they let you take more control over your personal safety and security. 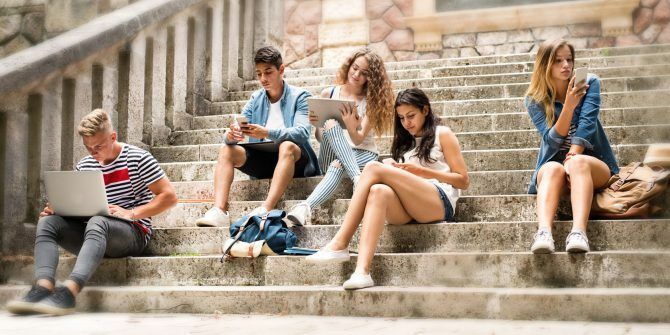 Students use social media a lot — for keeping in touch with friends back home, setting up social events, keeping up with the news, and just about everything else. 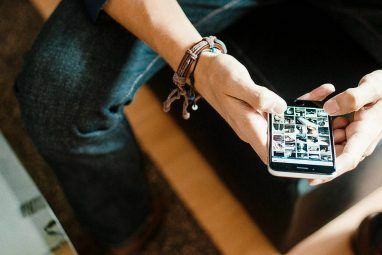 But having such a strong focus on sharing your life on social media can backfire Online Privacy: Do You Share Too Much Information? Online Privacy: Do You Share Too Much Information? Sharing has always been a prominent part of what the Internet is and how it functions. And with social networks exploding in popularity in the past several years, sharing is probably the one aspect we... Read More . PleaseRobMe is a website that drew a lot of attention a few years ago. It used publicly available data from Twitter and Facebook to provide a list of houses that were currently unoccupied. It wasn’t meant to be used by thieves, but simply to show how much information you’re giving away on social media. Telling people where you’re going, posting photos you might regret later, intimating that you’re walking home alone… there are a lot of things that might give away important information to people who want to do you harm. It’s unlikely, but why take the risk? Think about what someone might use your social updates for before you post. No matter how well you protect your data and devices, there’s always a way for someone to get around your defenses. But two-factor authentication makes it much harder. If someone gets your Gmail password, for example, they’ll have access to a wealth of useful information. But if your Gmail account sends a verification code to your phone before allowing a sign-in, it’ll be much harder for someone else to get access. Not all services offer 2FA, and there are probably a lot of on-campus apps and services that don’t. But if you have the opportunity to turn it on, you should (you can even add it to your gaming accounts How to Enable Two-Factor Authentication for Your Gaming Accounts How to Enable Two-Factor Authentication for Your Gaming Accounts Two-factor authentication provides an extra layer of protection for online accounts, and you can easily enable it for your favorite gaming services. Read More ). It’s a good tool to use, whether you’re a student or not, so getting in the habit early will be helpful. Many universities require that you use antivirus software. No matter what the school rules are, you should be using a tested and trusted antivirus package. School networks don’t have a reputation for being super secure, and with hundreds or thousands of students torrenting 24/7, you’re asking for trouble without AV software. Fortunately, there are lots of free choices that won’t noticeably slow down your computer. If your school requires that you use a specific one, go for it. If not, choose one from our list of the best free antivirus software The 10 Best Free Antivirus Software The 10 Best Free Antivirus Software No matter what computer you're using, you need antivirus protection. Here are the best free antivirus tools you can use. Read More and install it right away. Students have a reputation for a lot of peer-to-peer file sharing. Music, movies, books, and all sorts of other things travel between computers every day. But torrenting can be risky if you’re not paying close attention to the files you’re getting. Music and movies are generally safe, especially if you’re using standard formats. Torrenting any sort of executable, like games and other software, is asking for trouble. 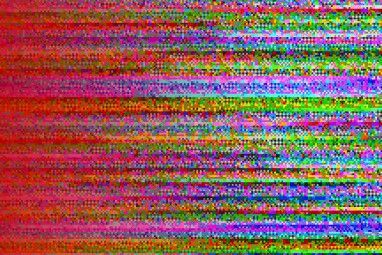 These are the types of files that will be hiding malicious code. Even if you use your antivirus software to scan them before you use them, you’re still exposing yourself to danger. Stick to music and movies. And if you’re going to torrent, be sure to use a VPN. Many schools block torrent sites from their network (justifiably so), and there’s the potential for repercussions, either from the school or from legal bodies, if you get caught. So encrypt your traffic. In general, using a bit of common sense will keep students safe from the security and privacy threats on campus. Most of the advice above is good advice for everyone, but especially so for students. Read up on some basic security and privacy tips, think about what you’re doing before you do it, and use a bit of common sense. What steps do you take to make sure you’re secure on campus? Share your tips in the comments below! Explore more about: Computer Security, Data Backup, Two-Factor Authentication. You gave the most useful advise in the end. USE COMMON SENSE. But it will be different for a technical person and someone who is just using it. Good tips, but I would add one more: encrypt your device. That way if it's lost or stolen, the data on it cannot be recovered, assuming it's locked with a password, PIN, etc. Oh, and don't torrent files if you don't have the legal right to do so. Not only is it risky from a technical security standpoint, it's risky from a legal standpoint. The MPAA and RIAA are notorious for tracking torrents and serving the owners of the IP addresses with legal action. Yes, there's a kinder, gentler 3-strikes policy at the moment, but it's just not worth it. Torrent only files you have the legal right to share with others.